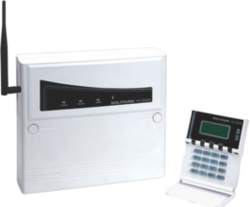 Our product range includes a wide range of texecom intrusion system, intrusion alarm, wired intruder alarm systems and wireless intruder alarm systems. execom is Europe’s largest independent security alarm specialist providing bespoke design solutions that protect people and property throughout the world. 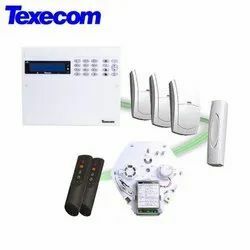 Texecom’s award-winning products cover every aspect of external and internal security requirements, including a full range of motion detectors, control panels, perimeter protection devices, fire detectors and external sounders. Texecom has recently launched a new ground breaking wireless technology, Ricochet mesh networking, to universal acclaim. Complete control for all aspects of development is ensured through design, manufacture and thorough testing of all products in state-of-the-art UK facilities. With a passion and a focus on innovation, simplicity of operation, style and reliability, product requirements are engineered into leading edge designs, outstanding in both quality and performance. Some alarm systems serve a single purpose of burglary protection; combination systems provide both fire and intrusion protection. Intrusion alarm systems may also be combined with closed-circuit television surveillance (CCTV) systems to automatically record the activities of intruders, and may interface to access control systems for electrically locked doors. Systems range from small, self-contained noisemakers, to complicated, multi-area systems with computer monitoring and control. It may even include two-way voice which allows communication between the panel and Monitoring station. 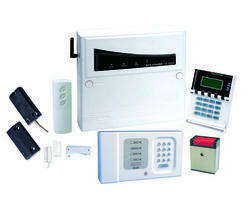 Looking for Intruder Alarm Systems ?